Moves Media is a video production company in Vancouver. Helping companies bring their brands to life with HD filming, aerial drones, micro videos and more. Here's an Avalanche Skills Training field day in Whistler from their perspective. Huge thanks to Maura Forrest, Nicole Gibillini, Juanzi Zhang and Ian Wood for putting together this video, highlighting the need for avalanche education, as part of a project for the UBC Graduate School of Journalism. Here's a great video about Endless Biking's Mountain Bike Instructor Training. If you're interested in becoming a Mountain Bike Instructor and/or Guide this is the first step. This course will lead you through the essentials of breaking down the fundamental skills necessary to teach and guide a range of levels of riders in a very clear, concise and step by step manner. Myself and the crew at Endless Biking took Robin out for his first North Shore experience. Something that we all agree should definitely be on every mountain bikers bucket list. Here's what he had to say. Canada has some of the world’s best downhill mountain biking, and BC has the best downhill mountain biking in Canada. Whether you’re rocketing down single track in Burns Lake’s globally renowned bike park, navigating the advanced trails on Vancouver’s North Shore, watching wipe-outs from the lift chairs at Whistler or cross-country riding through alpine meadows in the South Chilcotin mountains, BC’s trail network has something for everyone, including those of us on the Great Canadian Bucket List. A combination of two blog posts: The Inspiration, The Idea and The Solution (Fromme Classic) and BC Parks! Tear Down This Wall. I have to give huge credit and thanks to Morgan Taylor of NSMB.com for seamlessly piecing together my two adventures, and of course for teaching me the difference between decent and a descent. The sun was blazing and the team were sweating before we even lifted a shovel for the second NSRIDE Trail day of the season. Once again Brent Hillier, our Trail build expert, briefed the seven NSRIDE members (and 2 non-members Steve and Laurie) on the plan for the day. Starting with a safety talk and overview of the tools- mattocks, pulaskis, McClouds and the shovels of course- we learnt what to use each tool for, from prying out rocks (with mattocks not shovels!) to tamping down the BC Gold with McClouds It’s an eye openere how many tools NSMBA have amassed to make this Trail Adoption Program (TAP) such a success. I have been told that I talk too much on my blog, so this time I will try to keep it visual – but before I show you my photos and video I also want to say a huge THANKS to Tahnee and Brent because they were super brave to take me out there. They kindly helped me carry the food, hiked the mountain slower so that I was able to keep up with them and they always made sure that I was safe. Even though I really sucked at snowboarding they were always patiently waiting for me and always cheered me up. I am so pumped! Without them I wouldn’t be able to show you these photos and video. I wouldn’t know what a true backcountry experience is, what a beacon, a shovel and a probe are for, and what a blue bird powder day on top of a mountain is! Thank you guys cause without you, I wouldn’t have hiked a mountain and snowboarded down a glacier and basically had the best winter experience of my life! In response to a letter to the editor published in the North Shore News on Feb. 1: Make Out-of-Bounds Boarders or Skiers Pay for Their Rescue Costs, I wrote this. 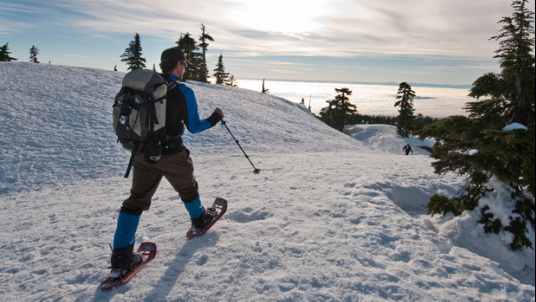 Let's explore the option of charging lost skiers and snowboarders for the cost of rescue. Suddenly I'm hesitant to call for help, I'm merely a ski patroller on a limited budget. If I could afford a helicopter I'd be heli-skiing right now. So instead of calling for rescue I call friends, and my friends would help me do anything. They'd come up and look for me and in the process maybe get lost or hurt themselves. Suddenly there would be five people lost. My friends aren't wealthy either, perhaps help is called and instead of allowing for rescue to help us we avoid the search teams. Who can afford rescue costs in today's tough times? (North Vancouver, BC) Vancouver’s North Shore is world-famous for year-round mountain biking action. But come winter, even die-hard cyclists need an incentive to keep their momentum going. Whether grinding on the trail or picking the perfect grind for a cup of java, biking and coffee go together. 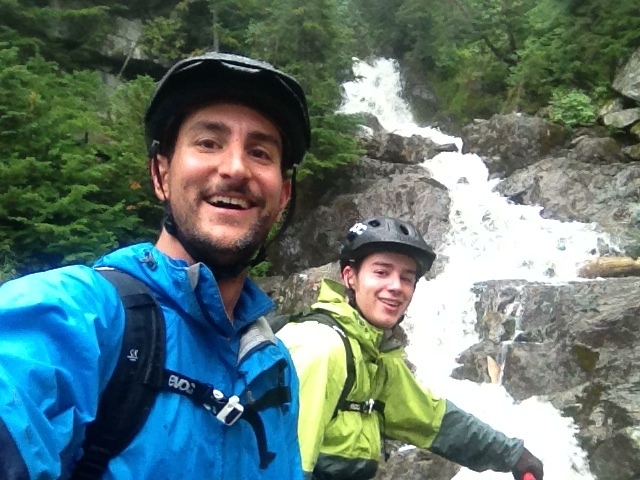 Brent Hillier of Endless Biking has been guiding and teaching mountain biking in North Vancouver since 2008, and can often be found warming up post-ride at one of North Vancouver’s many bike-friendly cafés. Downhill Mountain Biking is a trend that's gained major popularity recently. 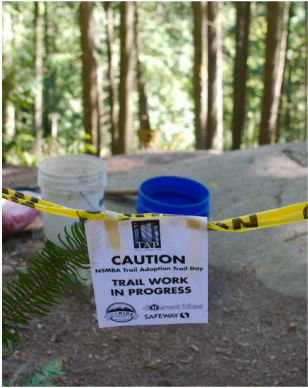 Living in Vancouver, we have some of the best trails in the world and North Vancouver is building new ones everyday. I went to Endless Biking in North Vancouver to have a quick lesson, get geared up and hit the trails with Jesse Ritchie.